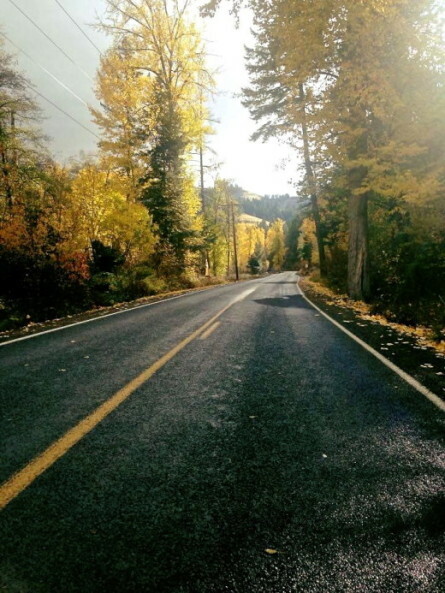 Home / Fall on the road! It’s on! Fall has been on the road for few months now, and THE best time of the year to catch giant Esox. Pull out your X(X)L cranks, swimbaits, jerkbaits, or whatever, and start fishing. Go big or go home, as they use to say in the USA! While having fished with somewhat smaller lures in late summer, early fall, we now gear up to using those bigger baits. Fish are on the feed, they need to strengthen themselves for the winter time to come, build enough fat to produce their eggs. Just like in August and September, they were on the hunt. But this time it’s prime time! Fall, October, November and into mid December are always the months I look out for most. Not only because it’s my birthday in November, but mainly because of the fishing. Leaves start falling down the trees, things in the eco system are slowing down. Nature at it’s best this time of year. The serene scenery you can find yourself in, is just priceless, and something money can’t buy. It’s what draws me to the water each time again and again. The coloured skies, the whole experience of being out there when it matters most. 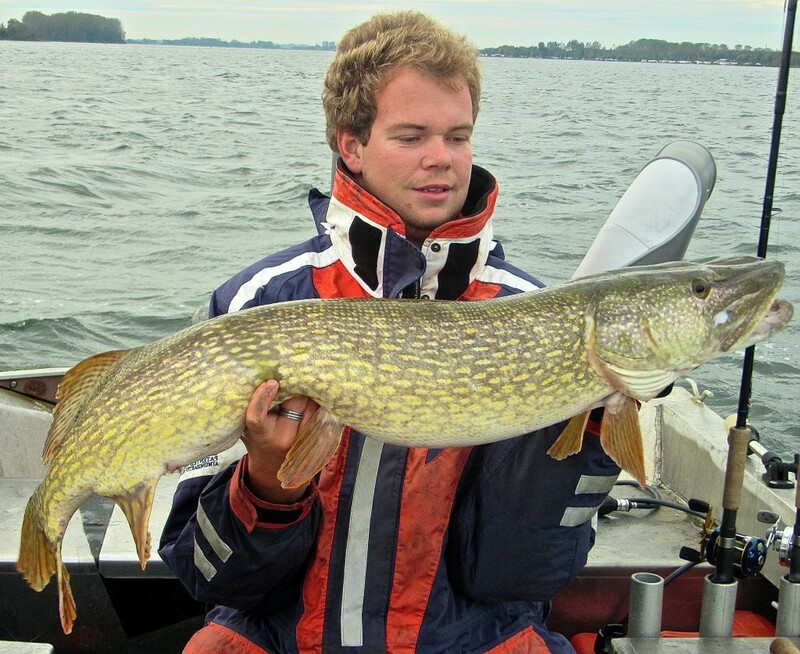 As mentioned earlier, fishing fall conditions is all about big lures. One of my favourite types of fishing. I simply love trolling crank and swimbaits in this period. Nothing comes in between. Shallow or deep water, it doesn’t matter. Each technique has it’s own charm! As the water cools down more and more, for the fish below the surface, it’s an sign that winter is near. The thing is with most winters, you’ll never know what will come. Ice, snow, massive cold fronts, rain or something in between, or no ice all! During some years, the waters remained unfrozen. But that didn’t matter for the Pike, they had to feed anyways. In this particulary season, they will more likely hit bigger lures than small, simply because it will cost them less energy. The fishing can be quite outstanding when the water cools down to the low 50’s. Especially after the ”Turnover period”. This period is the time when certain bodies of water start to turnover, or in other words, the warm and cool water zones start blending, and form one column of stable water temperature. This however, only occurs in lakes where the water is deep enough to hold seperate layers of cold and warm water. In river systems, there is a consistent flowage because of the current, and that’s why rivers don’t really turnover that much, but blend in a more steady way, wich basically means that the fish are not really off the feed during this period in time. In lakes and other bodies of water where heavy winds are present, it can occur that fish go into ”negative” feeding mode. After this, and when the cold water period arrives, Pike will go into a ”positive” feeding modus again, simple because the coldwater period brings more stability, and the water is most of the time at a round about 40F down to the lowest temperatures of the year! 45 inch pre-turnover water wolf! Where do we find the fish? Well, in October and November when most of the bad weather takes place, you may often find yourself in heavy winds. These winds blow over the surface of the water, creating high waves some up to 6 feet in length, depending on the size of the water. Like mentioned above, the waves blend the top surface water with the water below, to create one stable temperature zone. Have you ever noticed in the fall how many baitfish there are present on the water surface? And what do you think, Pike would do? Exactly, they move into the shallows to start feeding! As food is very present in these time of year, you might find yourself in a feeding frenzy. In fact, on some stretches of the water, it’s not uncommon to run into a pack of ”water wolves” wich will take anything that comes in between their jaws. They hit lures like maniacs, and that’s exactly how we want it right?! So in October and November it’s all about fishing shallow. From zero to 8 feet deep, and you can’t go wrong! 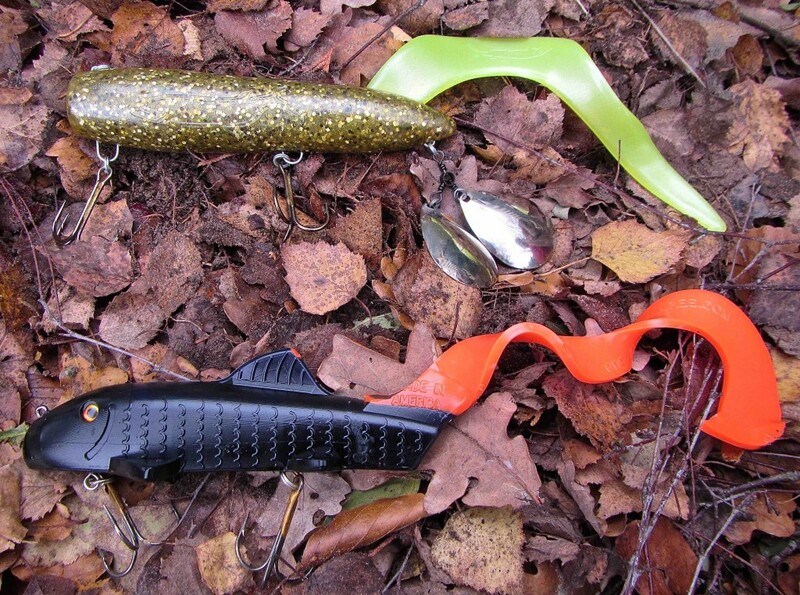 3 Must have gliders for fall fishing. TurmoilX, Tripwire & Buster Jerk!! While in late summer / early fall, we were fishing weed pockets, now on the underwater world starts to decay. Just like on land, leaves are falling down the trees and in the water leaves start falling from the weeds. You may find yourself in a rather obstacle rich situation, when rotten plants start to appear almost everywhere on the surface of the water. Trolling is sometimes nearly impossible, and there’s only one solution to this problem: casting! 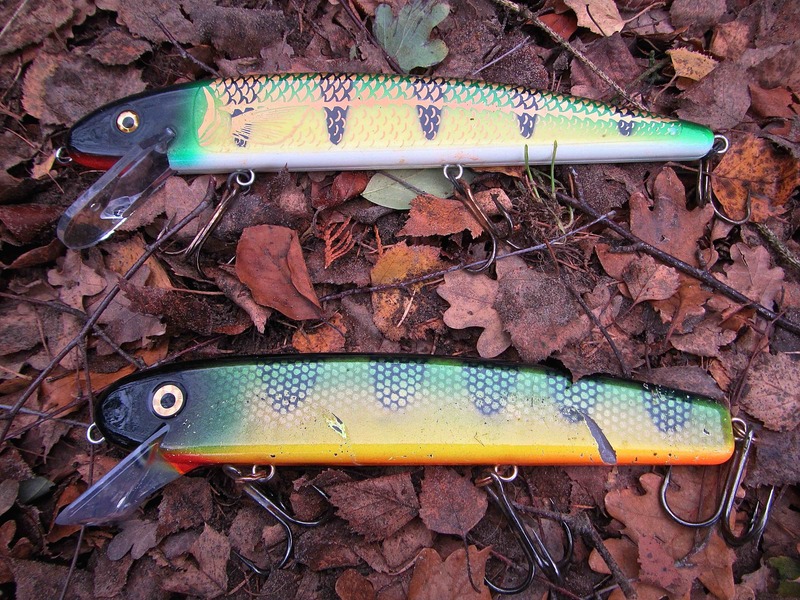 Casting can be done with gliders, pullbaits, and almost any big lure that comes within reach of the predator’s mouth. They will hit anything, and they will hit it hard! Personally I like to use gliders over anything else. Gliders like the Bikini Bait Company TurmoilX or Tripwire are great for this. They have a wide glide, and that’s what the Pike like. If you don’t own any of these, you can also fish with a Buster Jerk, Magic Maker, or something else. Why wide glide lures? Simply because they cover more water than other type of gliders with an erratic action. They will be seen much faster by the fish. If you are not a fan of fishing with gliders, try to put on something else like a 9” Suick Thriller, large swimbait. Go alongside the dropoff’s near the outer weed edges and cast big softbaits like a Royal Orba, Bulldawg or Curly Sue, you’ll run into a reward for sure! Try all kind of different speed techniques when reeling in your lure, to find out what the fish like. This may vary day by day, and I don’t know why, but it’s just the way it is, and you should try to adapt your fishing to it! Colours like pink, yellow, firetiger, green, white, they all do the job, and just make sure they carry enough contrast, so the fish will see the lure! Later in the fall, speaking of November to mid December, when normally the first cold front, with north of north eastern winds reaches upon us, things are starting to slow down. In the USA there has been a whole lot written about such conditions, cold front conditions. Throughout most of the year you were able to find fish shallow, now the shallow fish start to go down to the depths when they can. This is also where the baitfish gather, so it’s a logical move of the Pikes. In this particular period I like to switch to open water trolling, one of my favourite fisheries. Open water trolling means nothing more than fishing with a large profile crankbaits behind the boat above deep water, mostly in the shipping channels. How deep the lure should run depends on the zone where the baitfish are in. How fast you run them depends on how actively they feed. If the fishing is slow, you fish them fast, if the fishing is good, you fish them slow, so your bait stays longer in the striking zone. Even when Pike would be located on the bottom, they will come up and hit the lure in this time of year, and they hit it hard. Fishing at it’s best! In mid December when, according to the calender it’s still fall, we move into winter type of fisheries, on wich another article will be spend on about in winter and early spring fishing! 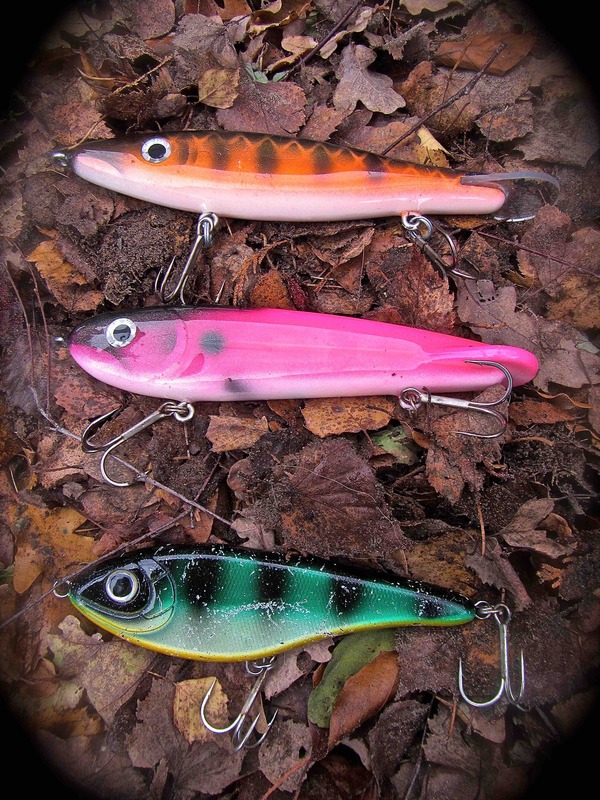 10” Jake & 9” ShallowRaider, two of the very best for open water trolling in the fall! !